‘Mary McCarthy beguiles with understatement and glistens with melodic clarity. The harmony is at times compound but never over-played showing no need to force the vernacular. As such, this is the only recent solo piano recording of the Gaelic and Irish traditions that I can recommend without hesitation’ (Peter Urpeth, In Praise of Uist – Molaidh Uist, LivingTradition.co.uk). 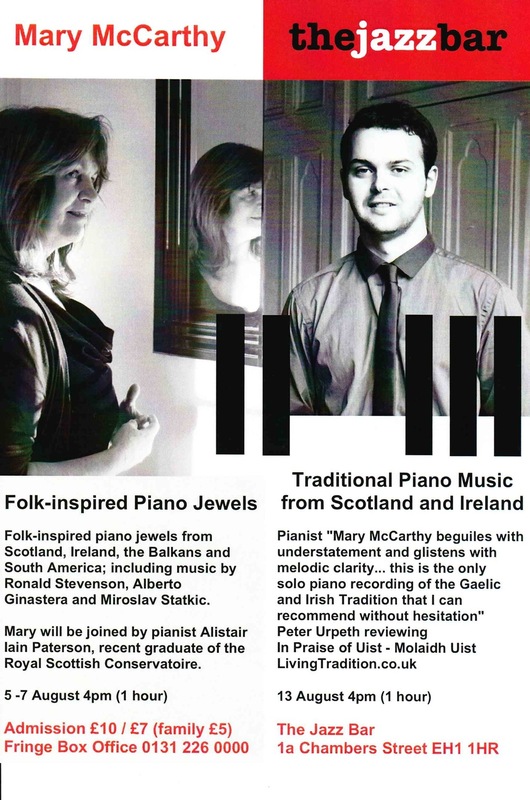 Folk-inspired piano jewels from Scotland, Ireland, the Balkans and South America; including music by Ronald Stevenson, Alberto Ginastera, Eddie McGuire, Percy Grainger and Miroslav Statkic.